Erin Teague leads the Virtual and Augmented Reality product team at YouTube. In this role, she is responsible for building brand new YouTube experiences, from the ground up, designed for VR and AR. Prior to YouTube, Erin was the Director of Product Management for Yahoo’s Fantasy Sports and a Product Manager at Twitter. She began her career as a software engineer in Morgan Stanley’s Algorithmic Trading Technology group. 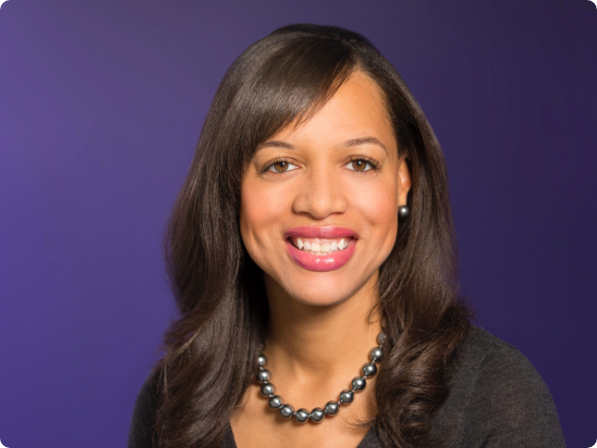 Erin has been recognized as one of the “Silicon Valley 100” by Business Insider, one of the “100 Most Influential Women in Silicon Valley” by Silicon Valley Business Journal, “The Next Generation of Tech Stars” by Refinery29, “40 Under 40 - Silicon Valley” by theREGISTRY, and one of “10 Black Women Making Major Moves in Tech” by BET Networks. She received the “AdColor in Tech” award in 2017 and has been named one of Glamour Magazine’s “35 Women Under 35 Who Are Changing the Tech Industry."" Originally from Michigan, Erin holds a MBA from Harvard Business School and a BSE in Computer Engineering from the University of Michigan.